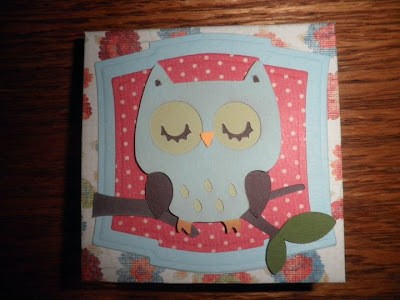 Paper Crafts by Candace: More Create A Critter! Have I said that I love this cartridge? All the critters on this cart are just adorable! Here is another card and matching post it note booklet that I made. The owls are cut at 2 inches. The branch and leaf are also from Create a Critter. The brown background shape is from Gypsy Wanderings. Cute owl. I love this combination of papers! That card is so cute. I want this cartridge so bad. Oh, stop by my blog, I have an award for you. Woooo! I'm your 100th follower! And I love this card. So darn cute! It's on my list of carts to get & I cannot wait!!! Thanks for the blog award sweetie! Love seeing your creations, I love Mr. Owl on this, that CAC cart is super cute! Oh I am loving this cart! your creations are so darn cute! I need this cartridge. Such a cute owl. 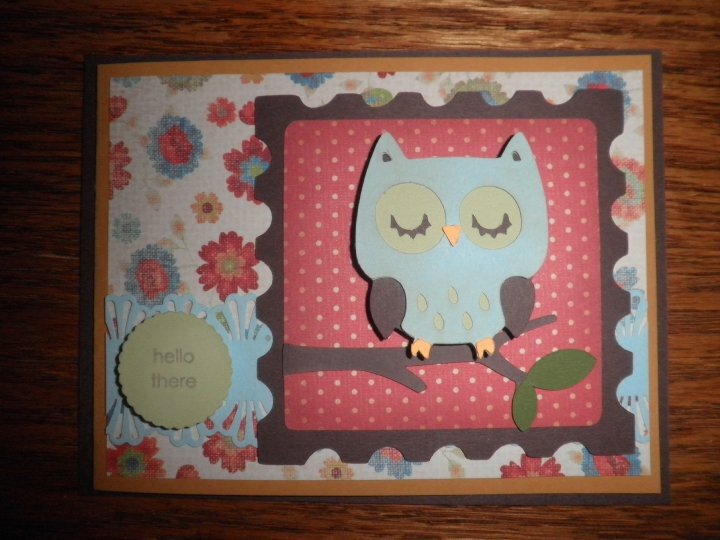 Adorable card - thanks for the entry! I too have this cart on my wish to buy list. What a cute-cute card!!! Thanks for entering it in the showcase!!! Good luck!